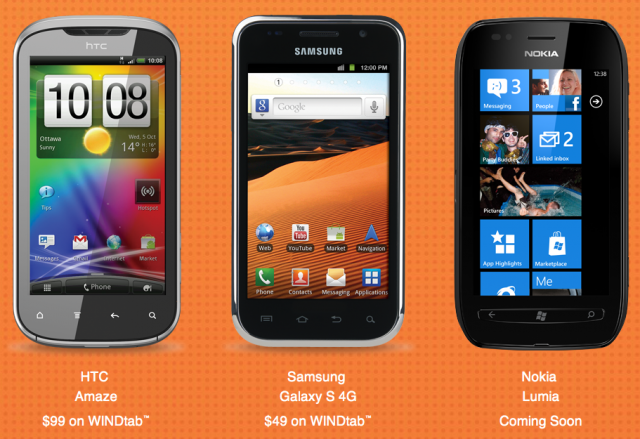 A few weeks ago we let you know that WIND Mobile was going to be releasing a few new devices: Nokia Lumia 710, Samsung Gravity Touch 2, and Huawei Astro. These are all expected to be available sometime over the next few weeks and if you take a gander at the WIND Mobile site today you’ll see one of them, the Window Phone Mango Lumia 710, with the familiar “Coming Soon” label on it. Unfortunately that’s all the information currently available. No word on price, but Rogers is selling the Lumia 710 for a ridiculously low $229.99 outright – so it’ll be interesting to see what WIND launches with.